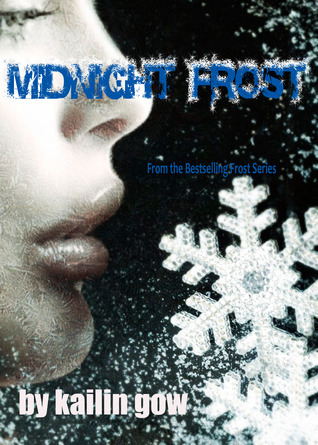 In honor of Kailin Gow's Spring Frost release on April 9, 2012, my teaser is from one of the Frost Series books: Midnight Frost (Frost Series #5). "My heart plummeted as I remembered the mountain, my sacrifice, Kian's cold face, his closed eyes....was I dead after all?" (Kindle Locations 231-232). Also, as part of the Spring Frost book tour, I have a special interview with the ever-inventive, Kailin Gow! Read it HERE. Wow! A series at least five books long and I have never heard of it. I like the teaser and will have to check this series out. My teasers are from Until Next Time by Amy Lignor and The Fireman Who Loved Me by Jennifer Bernard. Happy reading! Aaa, I really have to start this series! And the cover is gorgeous. Oh dear. Finding out if you are dead or not would seem to be of the highest importance! Let's hope she's not. Nice teaser! Yes, the cover is lovely, chilling teaser! Was I dead after all? Okay, I'm officially teased. A very frosty looking cover, enjoy! The cover is amazing, combine with that line makes for one great teaser. Awesome teaser. Sounds like an interesting read! I'm definitely going to find this one on Amazon. I love the book's cover, and now I'm wondering ... is he or she dead? Great teaser. Wow! How did I miss this cover? Thanks for the teaser!